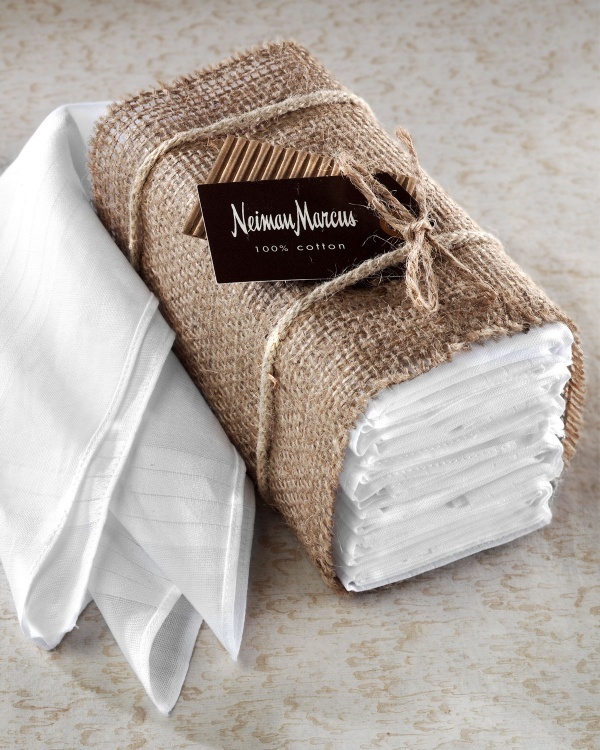 Never leave your breast pockets empty, so fill them up with these handkerchiefs from Neiman Marcus. Made of pure white cotton, it doesn’t matter if you’ve gone with a basic folded square, triangle or puff, this is a great way to add class and function to your look. Available online in a pack of 10 now. This entry was posted in Accessories and tagged Neiman Marcus. Bookmark the permalink.